An epic court battle between Uber and a Google spinoff, centered on the alleged theft of self-driving car technology, began with accusations of sinister plots and other devious behavior lobbed in both directions. In opening arguments Monday, lawyers for Google's former autonomous car unit Waymo likened Uber to Rosie Ruiz, one of the most notorious cheaters in sports history. Waymo is seeking to prove that Uber bolstered its self-driving car program using technology stolen by Anthony Levandowski, a former star engineer at Google. "Losing was not an option," Waymo attorney Charles Verhoeven said of Uber in his opening statement. "They would do anything they needed to do, no matter what." In turn, Uber's lawyer William Carmody charged that Waymo filed a bogus suit filled with trumped-up claims just to thwart its rival. Carmody said there's no evidence that Uber relied on any of Waymo's technology, although he acknowledged that Levandowski may have acted improperly before he left Google to run his own startup in January 2016. 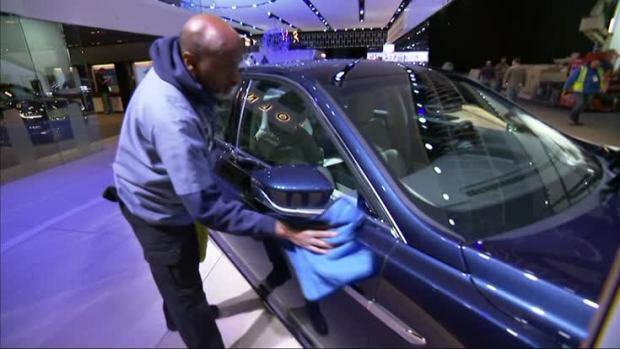 The North American International Auto Show opens Monday in Detroit. The concept cars are cool, but in an industry coming off an unprecedented seventh year of record sales, the spotlight is on the moneymakers. "There are a lot of cars here that may not be the flashiest of car, but they are the workhorses of the United States," said Jessica Caldwell, a senior analyst for Edmonds.com. Levandowski isn't named in the lawsuit, even though the case revolves around Waymo's allegations that the engineer illegally took thousands of documents from Google to Uber. Levandowski founded a self-driving truck startup called Otto after leaving Google; Uber later acquired it and appointed him to run its self-driving car division. 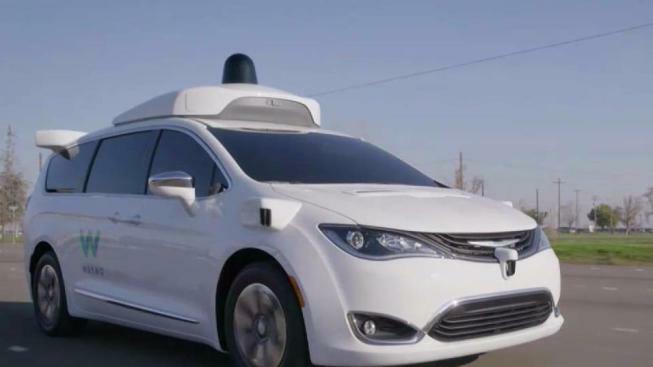 The U.S. Justice Department opened a criminal investigation a few months after Waymo filed its lawsuit, and Levandowski asserted his constitutional right against self-incrimination during the evidence-gathering phase leading up to the trial. He is expected to take the stand during the trial, which is expected to last until late February. Waymo is seeking damages against Uber and a court order preventing the ride-hailing service from using eight of its trade secrets. The trial will provide a behind-the-scenes look at two of technology's best-known companies. Google was an early investor in Uber, but their relationship began to deteriorate in 2015 as their interests diverged. Like Waymo, Google is owned by Alphabet Inc., which led a $1 billion investment in Uber rival Lyft last year. Two competing story lines emerged from the first day of trial. In Waymo's account, former Uber CEO Travis Kalanick orchestrated Levandowski's departure from Google in order to turbocharge its self-driving car program with some secrets he took in the weeks leading up to his departure. In Uber's, Waymo filed a threadbare lawsuit because it was losing engineers to Uber and other companies and wanted to hobble its rival. Waymo CEO John Krafcik, for instance, testified that he views Levandowski as "an enemy" — but one he kept tabs on after leaving Google. And Waymo attorney Verhoeven likened Uber and Kalanick, to Ruiz, who was disqualified as the women's winner of the 1980 Boston Marathon after it emerged that she'd ridden the subway instead of running the entire 26.2-mile course. According to a new study released by AAA, most people still feel afraid to ride in a self-driving vehicle. "We bring you this case because Uber is cheating," Verhoeven said. "They took this technology in an effort to win this case at all costs." In Uber's telling, however, Google aimed to undermine Uber with its self-driving cars, but later grew worried about losing key employees and its position in the self-driving car market. It cited documents to show that Google leadership aimed to "consume" all of Uber's profits by 2025, and that key engineers were frustrated with the company's progress. Those frustrations were expressed in an email by Chris Urmson, one of Google's top self-car driving car executives, to Google CEO Larry Page and his co-founder, Sergey Brin. Uber had just hired leading engineers in robotics from Carnegie Mellon University in 2015, and Urmson warned Page and Brin that Google had missed out by not hiring some of those engineers first. "We have a chance to be the headline or the footnote in history books on the next revolution in transportation," Urmson wrote in the email, which was shown during Uber's opening statement. Urmson left Waymo in 2016, and now runs the self-driving car startup Aurora.